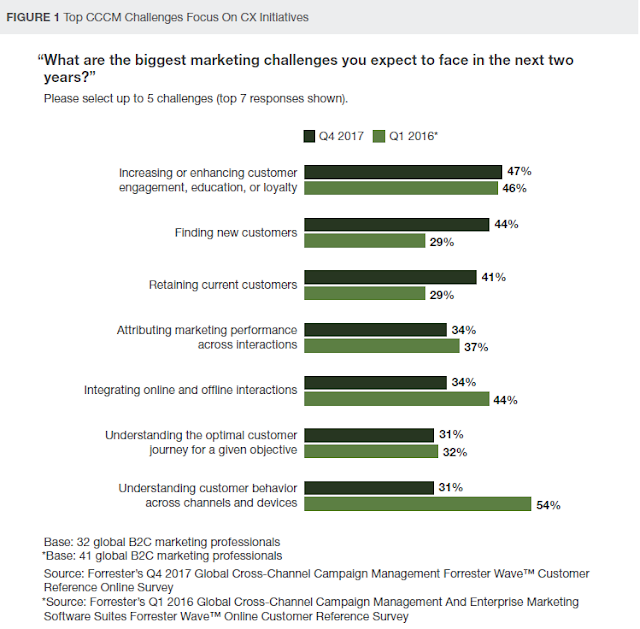 It goes without saying that using data to think about your customers has become inescapable in today’s ever-changing landscape. But even with the sheer amount of data available to us today, retailers are still facing the same core challenges they did a decade ago: Acquisition of new customers and retention of existing customers. In what customer acquisition sources should we invest additional time, money and resources? The goal is to invest marketing dollars in sources that are generating the highest revenue or LTV for customers. 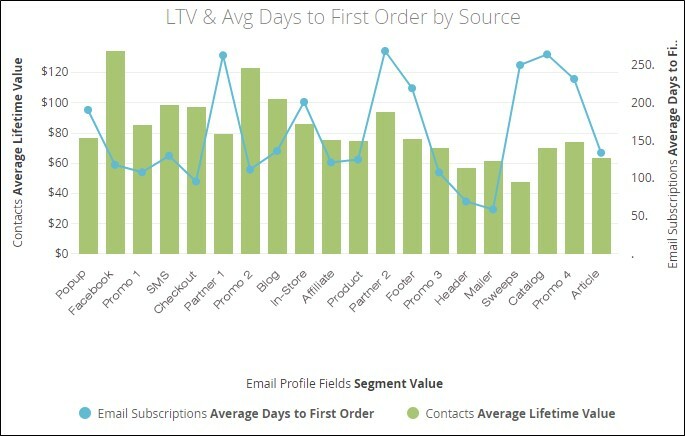 By using something like simple data visualization to overlay LTV alongside Average Days until First Order, we can easily spot trends around current acquisition efforts. We can see that customers acquired through Facebook not only have a shorter time frame for conversion, but also have a much higher LTV than any other source. This is a great indicator to invest additional ad budget dollars into Facebook – whether that’s Facebook Leads ads or other re-targeting efforts – this is a channel you should be using to test and learn. A few questions we may want to ask are: How are we acquiring customers that make it into Decile 1? How long on average does it take to convert those customers? What is my CPL by source? 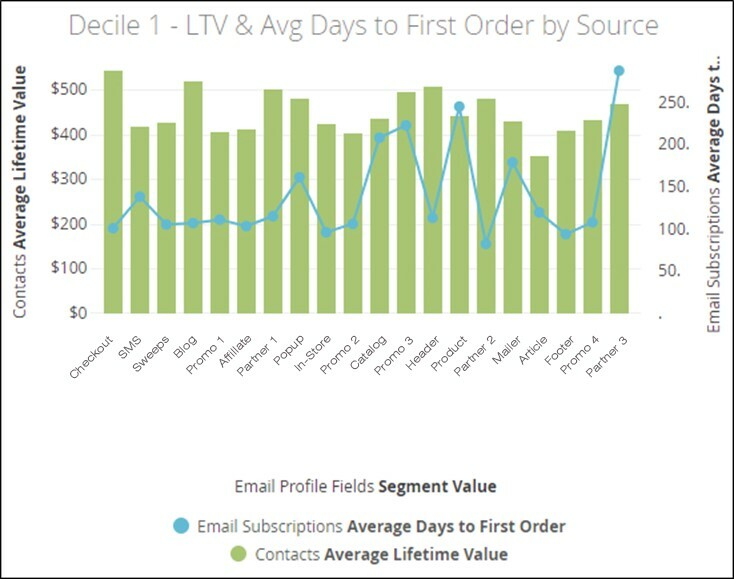 In the example above, we can see that the checkout and blog funnels are generating subscribers that have a high LTV within the Decile 1 group. These are sources we want to continue to optimize to ensure the subscription process is as seamless as possible. We can also see that customers in Decile 1 who subscribe through SMS tend to have a longer timeframe to make their first purchase. Here’s an opportunity for us to dig a little deeper and understand the messages being sent through SMS/Email and see if there’s room to optimize these to drive that first purchase more quickly. If you’re not using customer analytics to streamline and optimize your email subscription and new customer acquisition strategies, you may be missing out on revenue opportunities and the chance to enhance the customer experience. In a follow-up post, we’ll look at additional metrics around acquisition that a marketer should be measuring and tracking to ensure success. How salesy should your newsletter be?